Big mess in your garage? Build an inexpensive DIY garage shelf for around $40 dollars. 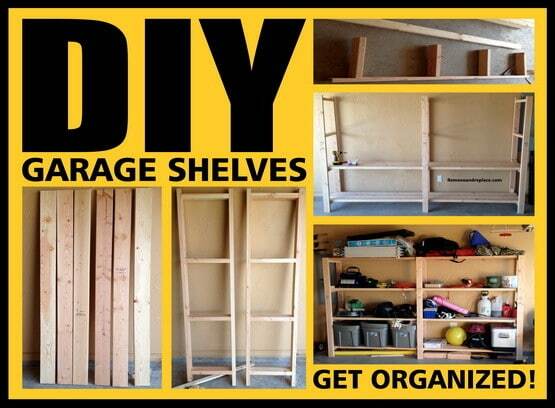 Using only wood you can make this garage shelving unit and start getting organized for less! Purchasing custom garage shelving is not cheap. You can truly save a stack of money by completing this DIY woodworking project yourself. Have a look below for a brief step by step garage shelving plans project you can do yourself. 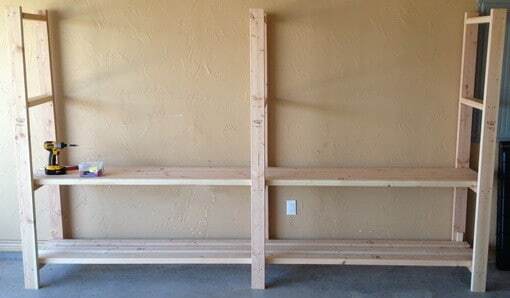 NOTE: The same 2×4 wood is used for all 3 sections of this DIY garage shelving project. Using 2×4 wood, cut 6 support legs, 12 middle sections, and multiple pieces for the shelving surfaces. DIY GARAGE SHELVES- GET ORGANIZED! 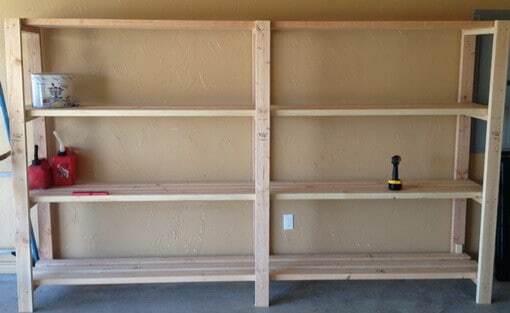 Below is a brief step-by-step method in 7 easy steps to build garage shelving yourself. to be a custom size to fit in a particular area of your garage. Remember to always use all safety precautions when using power tools. 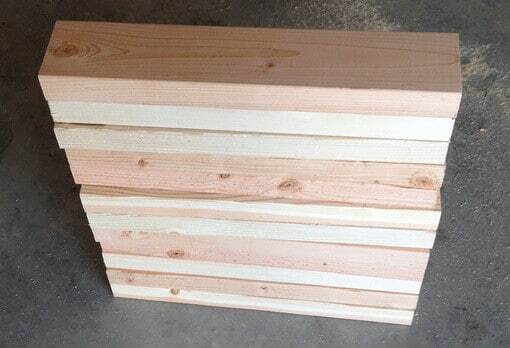 1 – Measure your garage wall area and purchase the amount of 2×4 wood you will require. 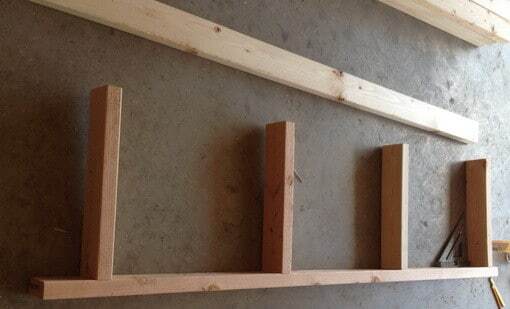 2 – Depending on the depth of shelving you need, cut 12 pieces of wood to the desired depth for middle sections. 3 – Depending on the height of the shelving you need, cut 6 pieces of wood to the desired height for support legs. 4 – Attach the wood pieces together using wood screws, adding the middle sections to the support legs. 5 – Build 3 of the center support leg sections making sure the height of each middle section is level with the other. 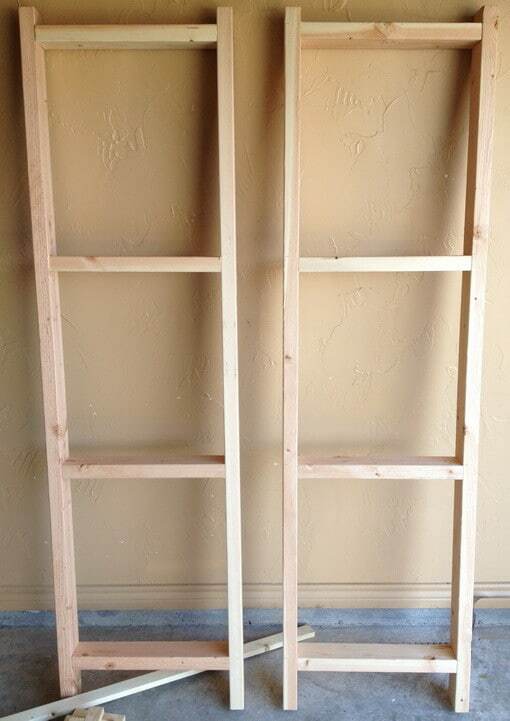 6 – Begin assembling your shelves by screwing the shelf surfaces to the 3 support leg sections. 7 – Continue assembly until all shelves are in place and the complete unit is together and secure. Do you have easier garage shelving plans that you would like to share? Please leave a comment below. This garage shelves will sure help in organizing your things. It is easy to follow and one can finish it right away by having the right materials. Woodworking is really a worthwhile thing to do.